Distinctive showing the hourly markings, Sunday highlighted in red at the top and pale blue shaded night hours - 6 p.m. to 6 a.m. 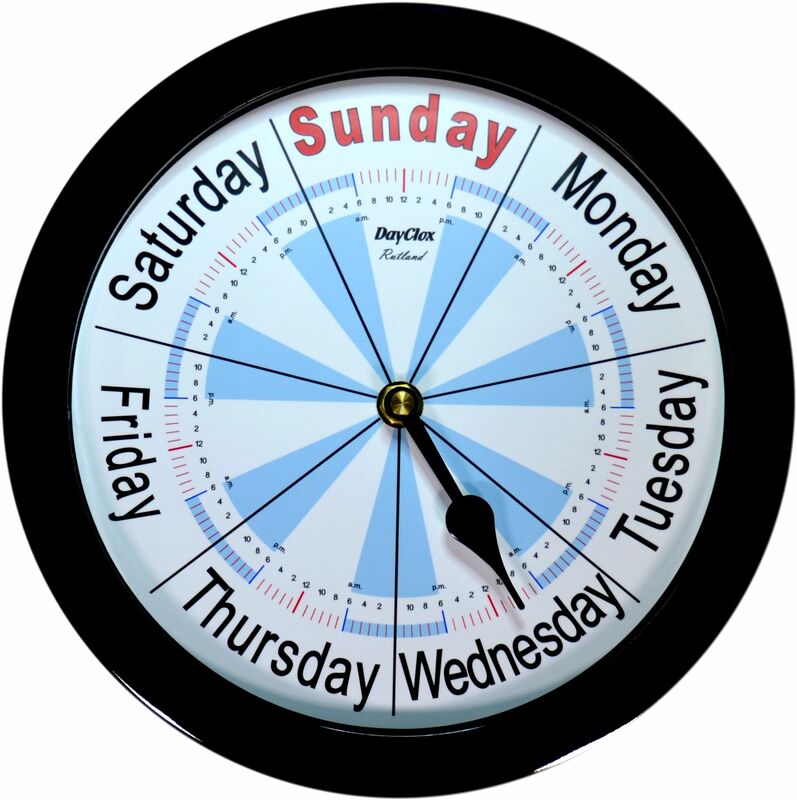 The Rutland has always been a very popular easy to read wall hanging Day Clock. Available in a selection of languages The Rutland has been welcomed in many homes around the world. Want a personalised Day Clock in any another language? Simply send your translations for your order in an email and we will create your finished clock for you. EU Residents: Save 20% VAT - this item qualifies for the Tax Exempt scheme. Black 9" (232mm) or White 10" plastic surround an acrylic dial & lens. Acrylic lens to protect the dial from tampering and dust. Fitted with a special quartz movement and metal indicator hand. The 168 hour rotation is synchronised exactly with the hours of a 7 day week. Virtually silent, ticking only every 60 seconds.